Elk Grove, CA: it’s a fast growing community with more than 160,000 people, yet still has that small town charm. Located just outside the state capital of Sacramento, Elk Grove is an ideal place to raise a family. The city government maintains numerous parks, including Elk Grove Regional Park with its lakes, mini islands, swimming pool, walking trails, dog park, ballfields, and pavilion. Green spaces and lakes can be explored at Camden Park, and you can navigate the city via its public bus system, e-Tran. For education, the city is served by the Elk Grove Unified School District, which runs 61 schools — 39 elementary, nine middle schools, nine high schools, four alternative education schools, an adult school, a special ed school, and a charter school. When looking at homes for sale in Elk Grove, residences with two to five bedrooms and two to three bathrooms can typically be found for between $240,000 and $500,000. A number of homes are available in the northern part of the city on either side of the Sacramento Freeway and near Camden Park and several schools. There is plenty to do in Elk Grove. Explore Old Town, with shops, beautification landscaping, and buildings dating back to the 1800s. Some of the city’s big events include the 4th of July Salute to the Red, White, and Blue, the Multi-Cultural Festival, the Boots on the Boulevard Outdoor concert, and the year-round Farmer’s Market. Elk Grove also has numerous sports leagues for adults and children, as well as the Emerald Lakes Golf Course. Elk Grove is just 60 miles from Stanislaus National Forest and 80 miles from Lake Tahoe, so a short drive will get you even further out of the city and into Northern California’s beautiful wilderness, all to be had in one day if you want. If you’re thinking of moving your family to Elk Grove, let us answer your questions. 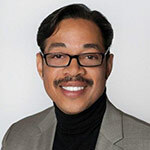 Shaun Alston is a top realtor with a phenomenal track record serving Elk Grove with not only the best real estate deals available, but the best customer experience you could find.